I recently received a book from Union Bank that I was really looking forward to reading to my kids. I believe that children should be aware of the importance of money such as how it is earned, how to save it, where to save it and how to spend it wisely. The book, Luke And Linda Learn What A Bank Can Do, explains how people can save money with banks and utilize banks in our everyday life. 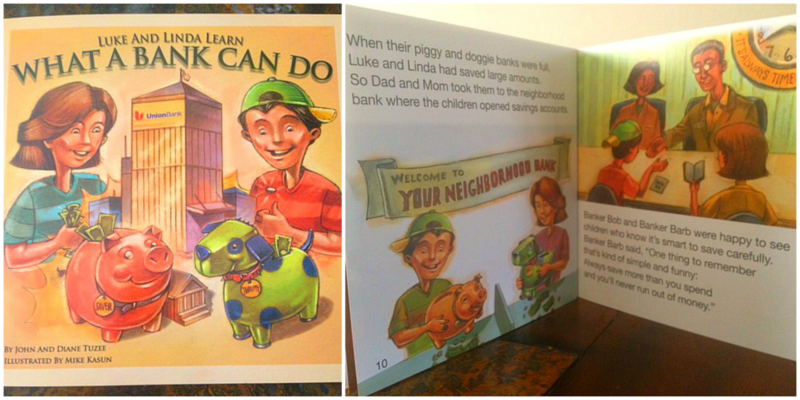 Luke and Linda are siblings that have been saving every penny they earn in their piggy banks until there just isn't any more room. Their parents decided to take them to their neighborhood bank to open their very own saving accounts. What a great educational giveaway! I know my son would LOVE this book because he is so into money right now.